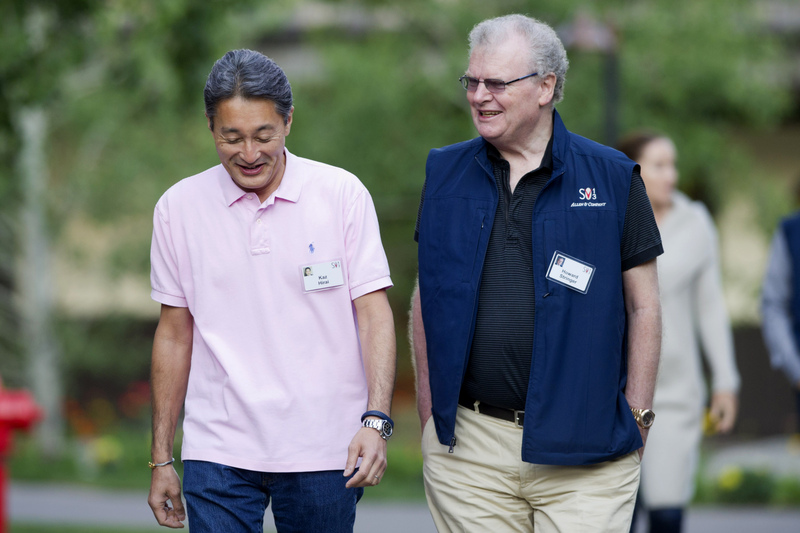 Sony Corp. President and CEO Kazuo Hirai is getting a vote of confidence from predecessor Howard Stringer in his effort to turn around the electronics maker. The latest incarnation of the PlayStation and restructuring are helping fuel a comeback, Stringer told Bloomberg TV. Sony has said it expects net income of ¥140 billion this year after posting its sixth annual loss in seven years. Hirai has quit unprofitable businesses and pruned costs at the smartphone and movie production divisions to focus on profitable products such as sensor chips used in Apple Inc.’s iPhone. The PlayStation 4 has sold almost twice as many units as Microsoft Corp.’s Xbox One, according to VGChartz, making it the most successful of the latest-generation consoles. The 73-year-old Stringer stepped down as CEO in 2012, then retired as Sony’s chairman the following year. He was named CEO in 2005, and vowed to improve cooperation among the many divisions making everything from movies and music to cameras and digital music players. Shares of Sony have jumped 59 percent this year in Tokyo trading, the third-best performance on the Nikkei 225 stock average. A surge in the yen’s value during the global financial crisis helped intensify competition from Samsung Electronics Co. in the television business, leading to widening losses for Sony. 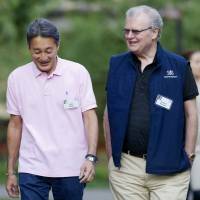 Hirai, 54, was named to replace Stringer in 2012, the year Sony reported a record ¥457 billion net loss. Stringer also said rising competition in the movie and television production business from companies such as Netflix Inc. and Amazon.com Inc. is probably good for consumers, while challenging established studios. “We are all under siege one way or another,” he said. As online competitors challenge Sony’s traditional movie and music production businesses, hackers pose another threat to the company. A group calling itself Guardians of Peace penetrated Sony Pictures’ internal computer network, then published thousands of documents including employees’ photos, addresses, credit card numbers and workplace harassment reports on file-sharing websites. The document dumps, spread across weeks, eventually included internal email exchanges among employees and details about pay. The breach cost Sony about ¥1.8 billion ($15 million), rendered thousands of its computers inoperable and led to Sony Pictures Entertainment Chairman Amy Pascal’s replacement. The company has said it is improving security and warned media organizations not to use data stolen by hackers. While the risk of further attacks remain, Sony’s entertainment divisions are being more careful with email, said Stringer, who confirmed that he does not own Sony shares.